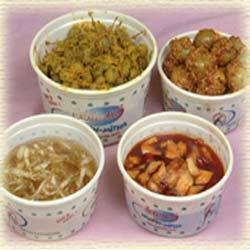 This range of food products adds Spicy Pickles and tasty touch to the food items. Using premium quality fresh vegetables and fruits these pickles are made which retain a mouth watery taste. Further, these are cooked in healthy oil and are kept in air tight bottles which can maintain the quality and hygiene of the products for a long time.